Premise- Repo men Josh Lewis and Tom DeTone give people who are due to have their car(s) repossessed a chance to play a five question quiz to avoid getting their car repossessed . If the person answers three out of the five questions correctly, the show will pay off whatever the person owes on the vehicle. However, if the person fails to answer three questions correctly, their car will be towed and taken away from them. On some shows, a “Double Repo” game is played, where a couple might get both of their cars towed, but can avoid getting one or both cars repossessed by each person playing a separate game. Three games are played per episode. Repo Games is unlike any other off-location game show I have ever seen. This show has all the drama of a reality show and all the excitement and suspense of a game show. Some of the games are delayed in getting started because of some of the people confronting and cursing out the repo men and finding clever (yet ineffective) ways to drive off with their car, even though the car is already hooked up to the tow truck. Some of the hosts are even cautious about entering into certain neighborhoods at the risk of the person or people coming at them with guns, aluminum bats or other various weapons. I even saw an episode where John Lewis commented on how nervous he was approaching a woman who was due to have her Harley Davidson motorcycle repossessed, because he didn’t like approaching “Harley-Davidson type” people because of how crazy they might be. 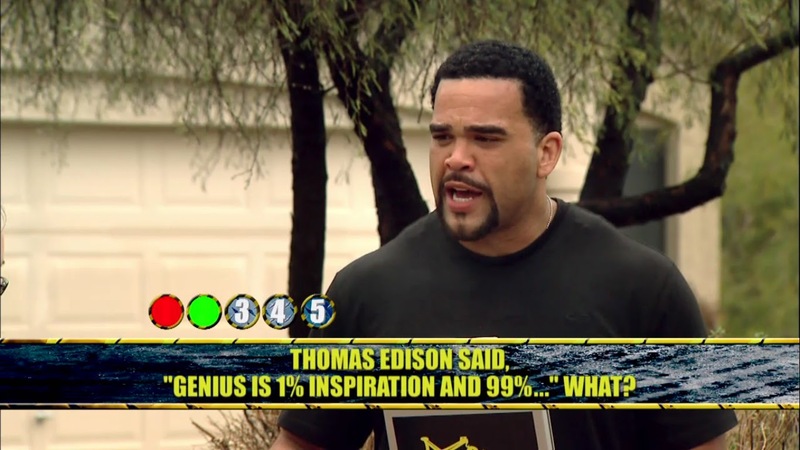 Even though Repo Games is a low-budget game show, this show is often humorous to watch because the people on the show missing seemingly easy questions. On a quick side note, it’s interesting that the show asks its contestants (who primarily live in lower class neighborhoods) easy questions such as “Who flew a kite in a thunderstorm to prove lightning was a form of electricity?” because of the contestants’ immense lack of general knowledge trivia. By judging how unsuccessful other off-location game shows have fared on television, such as Oblivious, Instant Recall, and Hidden Agenda, I don’t see this show lasting for more than two seasons. This show might be amusing to watch, but I honestly don’t see Repo Games sticking around on Spike TV for a long period of time. Watch Repo Games Tuesdays at 8:00pm EST on Spike TV! It will last. People like to watch others be idiots. Including me! 2 years? Cash Cab is boring, no action, no hype, no drama and it's headed towards season 6. REPO GAMES is one of the best true, live, real shows ever. A eal repo, real people, real PAYOFF's. A game show in your front yard, up close and personal, to help Americans in financial trouble, some laughs, some tears and full of action. I love REPO GAMES…Operation Repo is FAKE! No more fat repo men, no more fat repo shows…REPO GAMES has 2 big buff guys!!!! Way to go Tom and Josh.